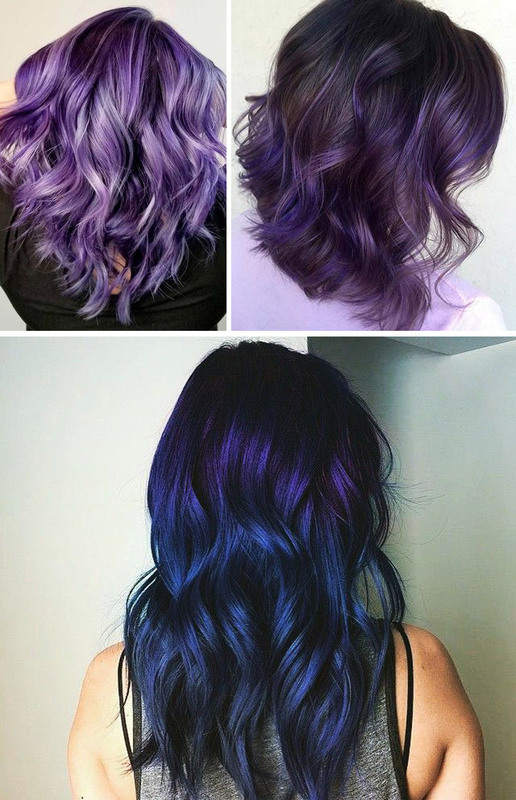 Pantone for 2018, has chosen Ultra Violet , an intense and decisive violet characterized by a balanced mix of blue, red and periwinkle destined to be the protagonist of the hairstyle more imaginative and creative. 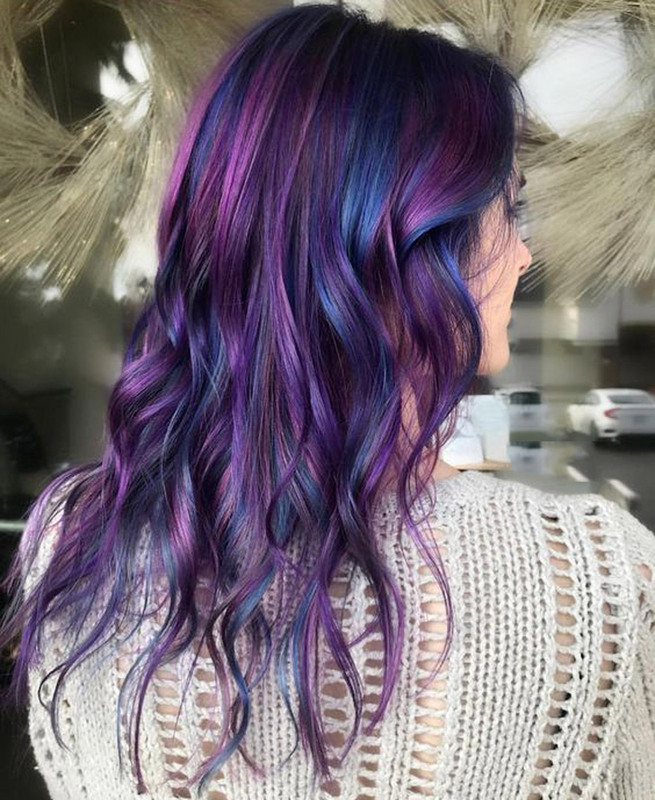 We show you a wide overview of photos dedicated to Ultra Violet 2018 hair trends , certain that will win you over in their uniqueness. 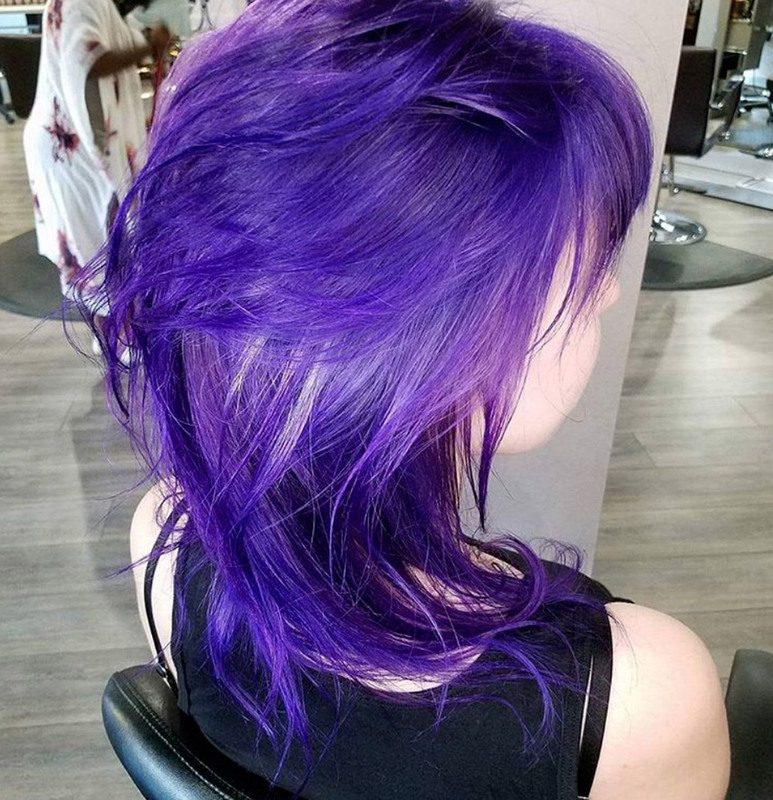 You like i purple hair ? 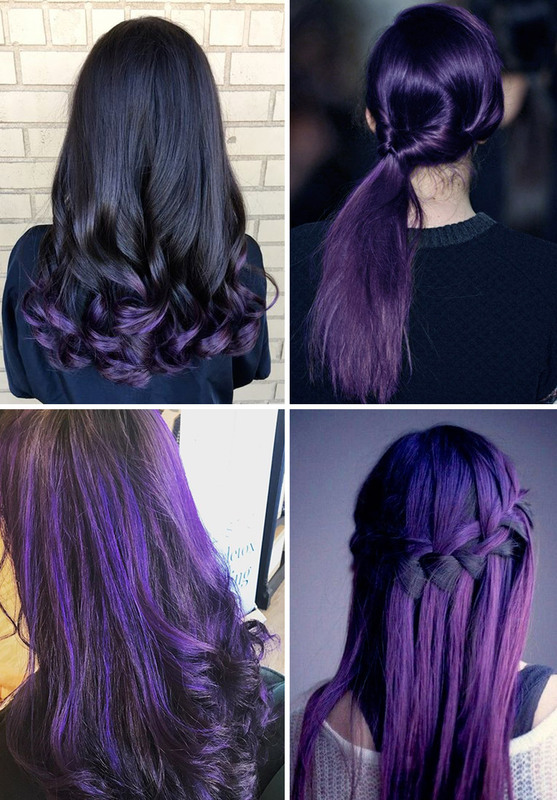 You will be happy to know that the new color Ultra Violet It will be in fashion and we’ll see it on the heads of the VIPs but also on the heads of the common people because now the colored hair is a must have! 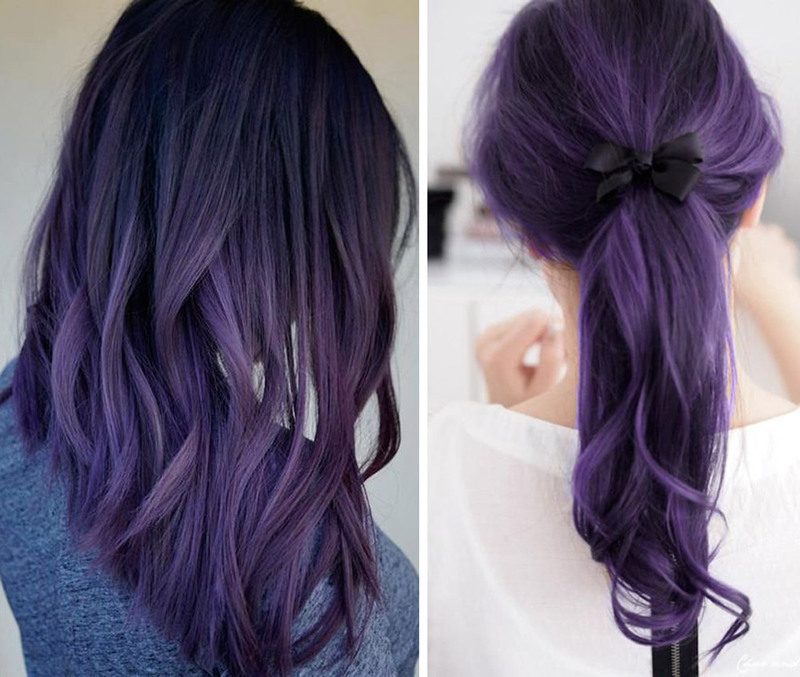 You understood correctly, dark purple Ultra Violet Pantone , during 2018, will depopulate in all its most creative forms and we will see original and unconventional hairstyle. The password will be ” movement “, Given by natural waves, voluminous folds and color, expertly applied to create games of lights and shadows . 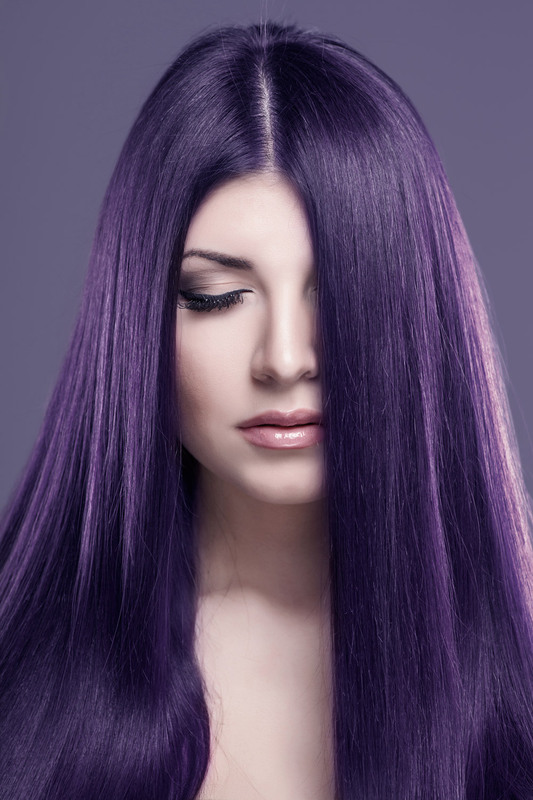 Ultra Violet it lends itself to enhancing the voluminous hair , making the multidimensional foliage and faceted, modern and glam. Whether you have long or short hair, the cut, combined with Ultra Violet it assumes a refined and lively allure, jaunty but of character. The long foliage , whether they are smooth or moved, appear to be enhanced by color Ultra Violet expertly combined with tone-on-tone shades. Instead, matched with short cuts , geometric and jaunty, makes the glam and modern hairstyle , perfectly suited to those who love to dare and always appear protagonist in every occasion. 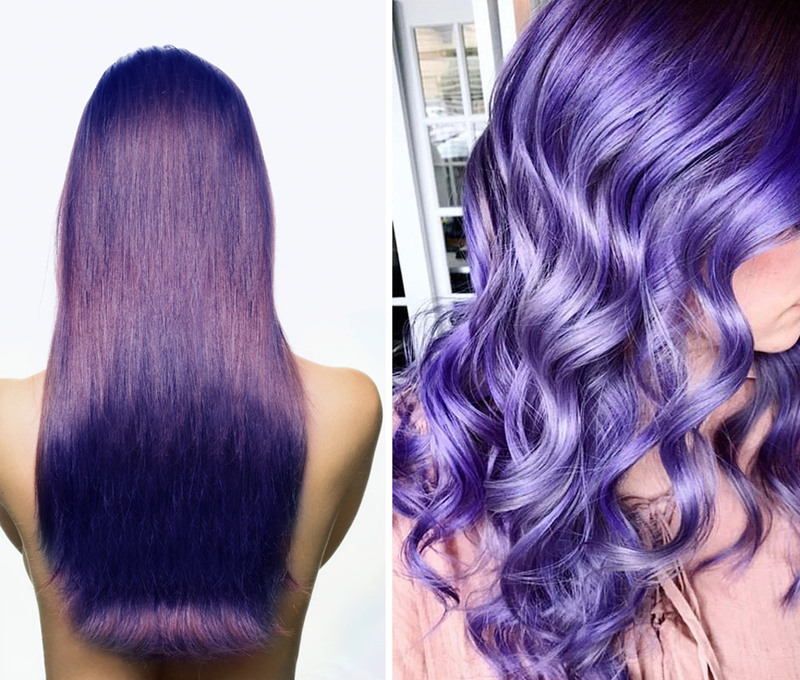 Wavy and curly hair they literally take life thanks to the saturation that characterizes it Ultra Violet able to characterize elegant shades that take on a new dimension through simple bodily movements. 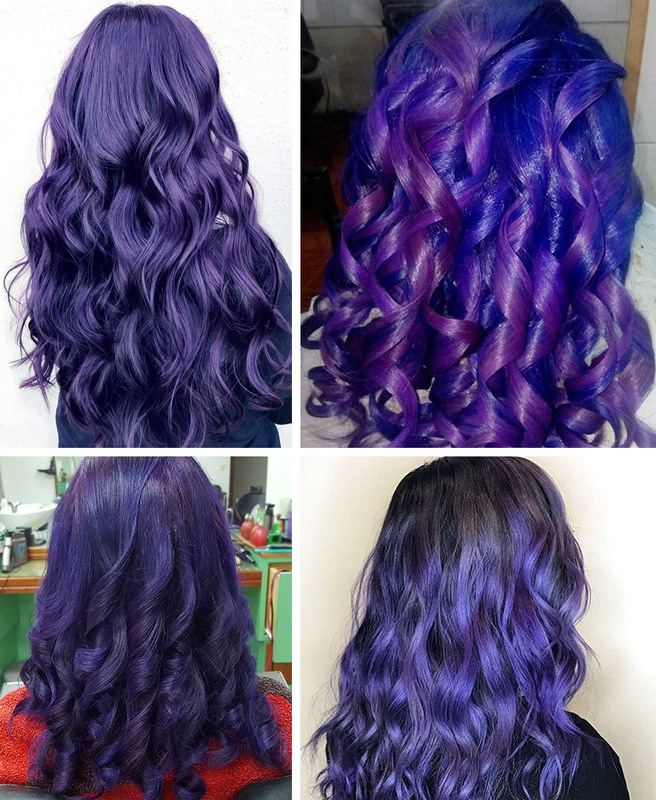 Here are the pictures of the ultra violet curly hair! 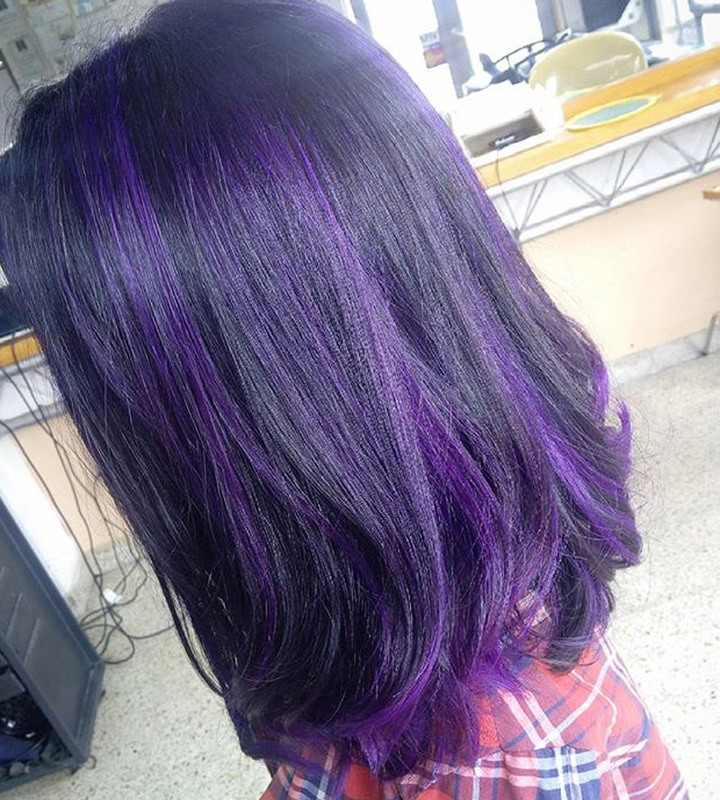 Perfect even if combined with average cuts is long bob , Pantone Ultra Violet it is perfect if used to make scratches or meches on a dark base, thus creating light games as much impact as chic. 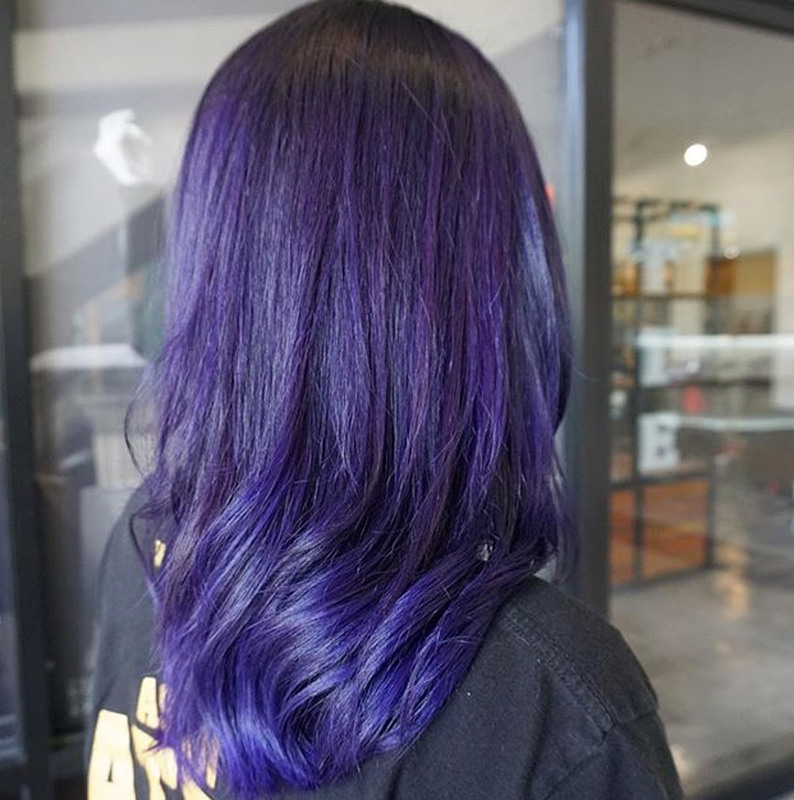 We will also see the trend dedicated to faded hair Ultra Violet , an even more creative and modern solution that makes any spectacular hairstyle. The combination of this shade combined from the colorist to tone-on-tone shades of different gradations, makes the dynamic hair and modern. An example is represented by degradè , which thanks to the new color chosen by Pantone, takes on an almost futuristic appearance. 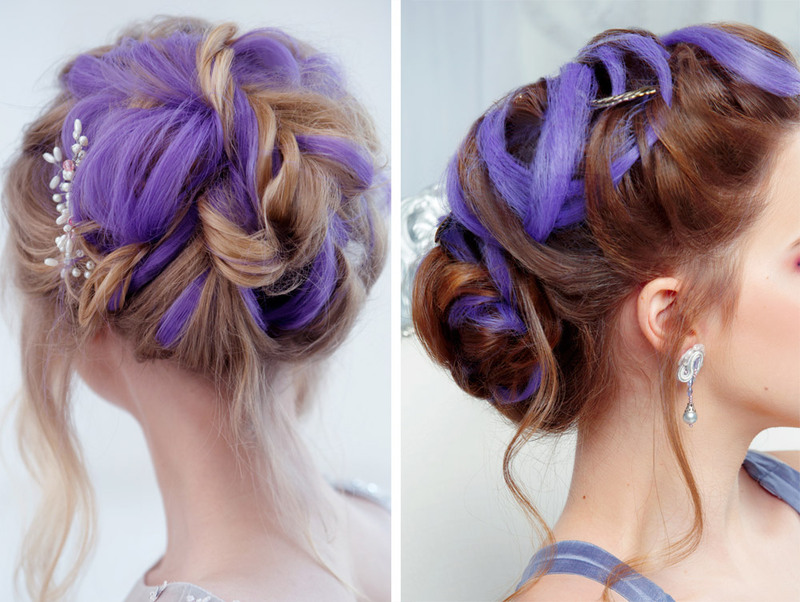 The dark roots in contrast with the clear and nuanced tips make the hair certainly very original. Same goes for the chatouche or the timeless balayage , revised and corrected in a modern way thanks to the presence of this strong and strong shades but unique. A dark base in fact, it lends itself to accepting all of them Ultra Violet shades determining a chromatic harmony that is essential but almost magical, creative and whimsical. 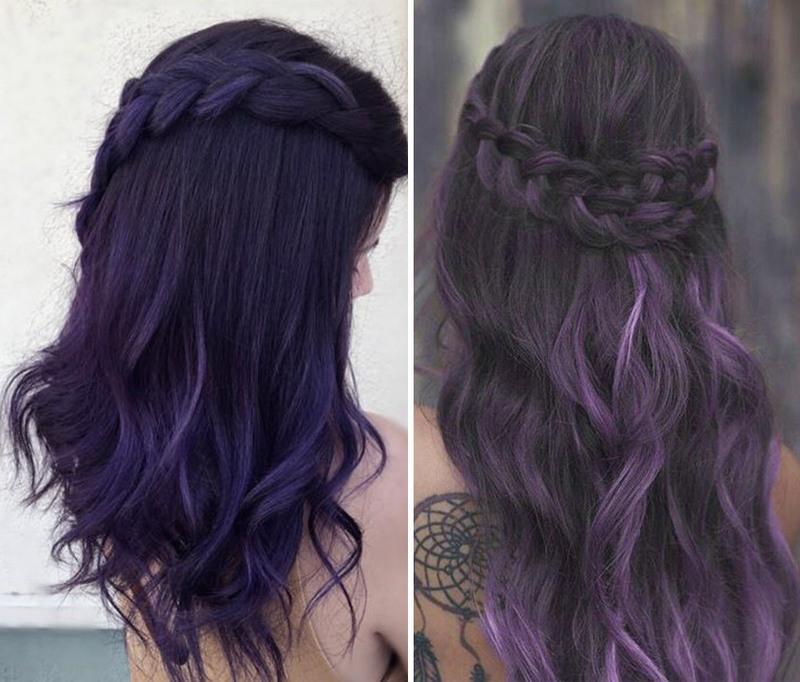 And if you do not have enough yet, be prepared for Mermaid Hair , hair to ‘ siren effect Proposed thanks to Pantone in the captivating and mysterious tones of purple … only for the bravest! It’s still Marble Hair built on a base Ultra Violet , where playing with color becomes a pleasure for the hair stylist that gives vent to his imagination and creativity giving us such a dreamlike hair. 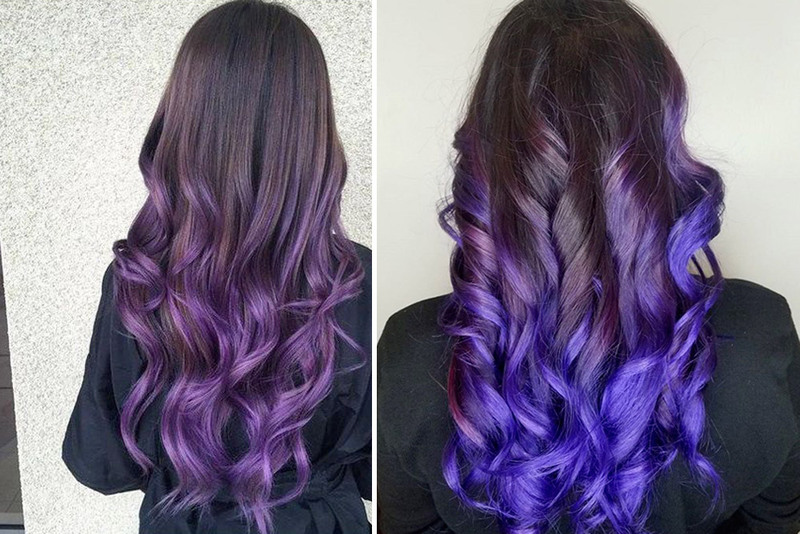 In short, i Ultra Violet hair now they are trendy. This is not an easy color, far from it, but for sure it is perfect for those who are not afraid of express your personality through color. 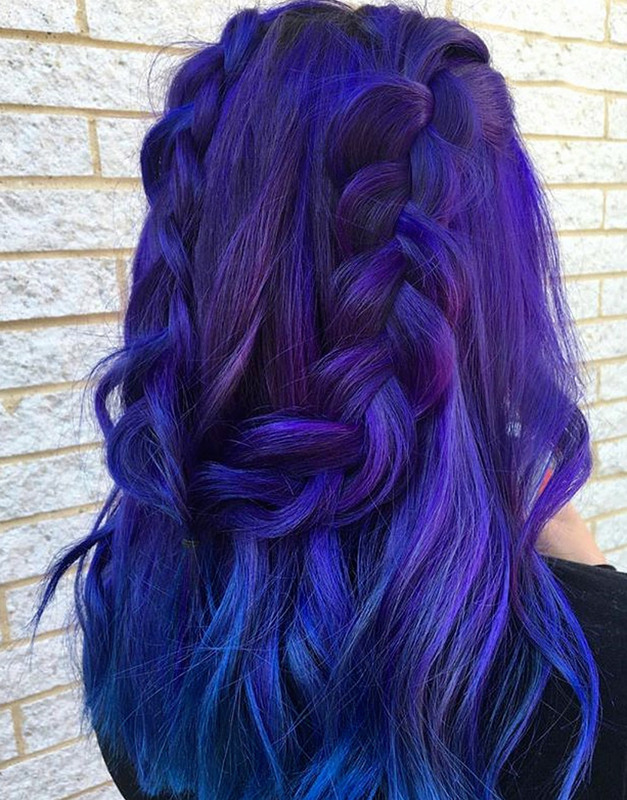 You like these Ultra Violet hairstyle ? What do you think of the new Pantone applied on the crown?